We are delighted to announce a new joint project: Exchange 2013 Inside Out, a two-volume set that we will write for Microsoft Press, with an anticipated publication date in Fall 2013. Tony is writing part 1, which covers the mailbox server role, the Store, DAG, compliance, modern public folders and site mailboxes. 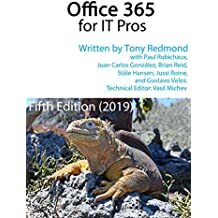 Paul is writing part 2, which covers client access, connectivity, transport, unified messaging, and Office 365 integration. This division looks as if Paul got more work to do, but Tony assures everyone that he can easily fill a book on just one topic. Why two books where Exchange 2010 Inside Out merited just one? Well, just look at that book and reflect that it contains some 400,000 words in a 2-pound tome. Apart from the weight, it takes a long time to write such a book and there’s tons of changes and new material in Exchange 2013 that we want to cover. The option of writing a single 500,000 word volume was just not attractive. Thankfully Microsoft Press agreed with us. We have deliberately decided to take our time writing. There’s no point in rushing out a book based on a product immediately after it is released because no real-world experience exists. Microsoft runs an excellent Technology Adoption Program (TAP) that helps the development group understand how new versions of Exchange behave in production environments through early deployments, but we prefer to see how the software evolves and behaves as it is deployed more widely. This cannot really happen until after Microsoft releases Exchange 2010 SP3 and whatever update is necessary for Exchange 2007 SP3 to allow coexistence with Exchange 2013. Writing based on a firm foundation of real-world deployment experience has always seemed to make a lot of sense to us and we see no reason to change now. Although the two volumes of Exchange 2013 Inside Out will stand alone, we will absolutely make sure that each volume complements the other. We will be technical editors for each other’s volumes, giving us equal opportunity to insert bad jokes and Exchange war stories across the breadth of both volumes. Mostly because we have no firm dates in mind, we’re not releasing any details of our schedule, we hope that we will be able to offer an early-access program to readers through the Microsoft Press prePress program, so stay tuned! PS. More information about the Microsoft Press prePress program is available in this blog.. This entry was posted in Writing and tagged Exchange 2013 book, Exchange 2013 Inside Out, Microsoft Press. Bookmark the permalink. Thank you Tony, really waiting for this book! Really looking forward to it as well!